Cullen had seen this type of tragedy play out from the front lines before. He notably covered the Columbine High School massacre extensively over the course of ten years from the day it happened in 1999 to 2009. 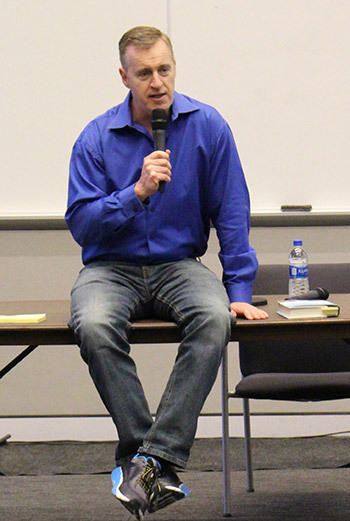 Throughout the ten years he worked on his book Columbine, he researched the killers, their motives, met with parents, and documented the survivors. His proximity and knowledge of the mass shooting and its aftermath garnered Cullen a reputation. “I’ve become the mass murder guy on TV news after covering these horrible events,” said Cullen. He’s often tapped to provide commentary on mass shootings, so when tragedy struck at Marjory Stoneman Douglas High School in Parkland, Florida, CNN asked Cullen to come on the air, less than 24 hours after the shootings. While at CNN’s studio, Cullen watched David Hogg, a student at Marjory Stoneman Douglas high school, being interviewed by a reporter. Hogg’s plea got Cullen’s and the world’s attention. “We are children. You are the adults. You need to take some action and play a role. Work together. Come over your politics and get something done,” said Hogg. Cullen says that in that very moment, he knew something different was happening down in Parkland and it was a story he knew he wanted to cover. Cullen says while Hogg and González have become the face of the movement, other members of the group, including Corin, are among its quiet heroes. He says it’s Corin who is really the hero of his book Parkland. “She’s running this movement, which is why I wanted to write the book. I wanted to write her story, she wasn’t covered by the media at all,” said Cullen. 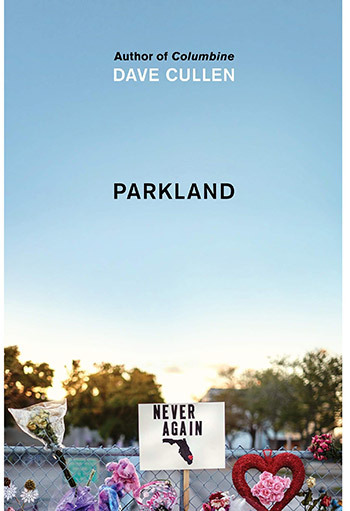 “I wanted to tell the stories of all those that weren’t being interviewed by reporters.” In total, Cullen’s Parkland covers 25 members of the March For Our Lives movement. The group’s tireless effort would lead to the March For Our Lives protest—among the largest student-led protest in the U.S. since the Vietnam war—just five weeks after the Parkland tragedy.